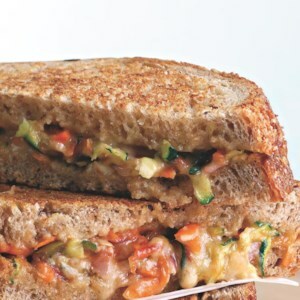 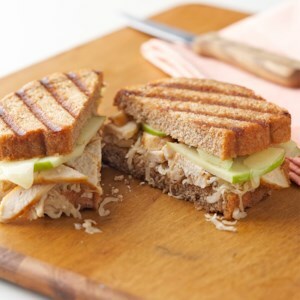 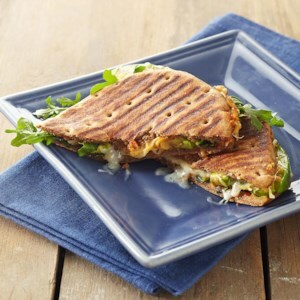 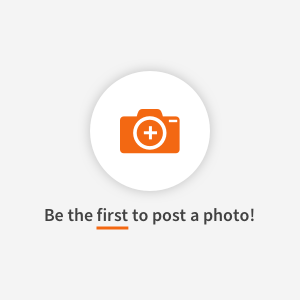 Find healthy, delicious panini recipes, from the food and nutrition experts at EatingWell. 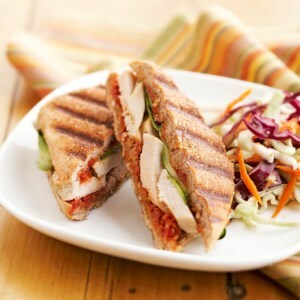 This warm panini recipe is an easy choice when you're preparing lunch for four. 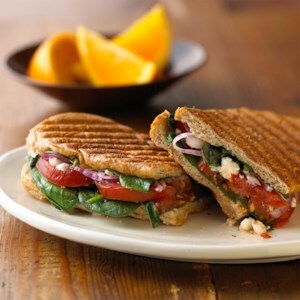 Each sandwich is loaded with a full cup of spinach and flavorful basil and feta cheese--so tasty! 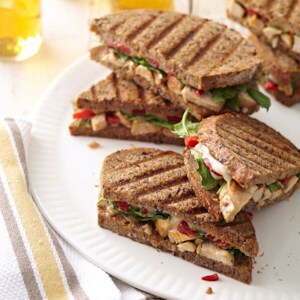 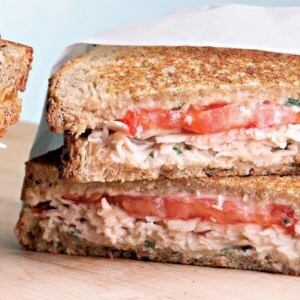 You don't need a panini press to enjoy these easy chicken salad panini sandwiches. 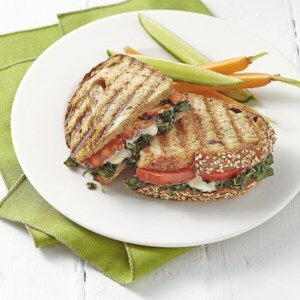 Add healthy fats, a little protein and plenty of flavor to your grilled cheese sandwich with this tasty Mediterranean-style panini recipe. 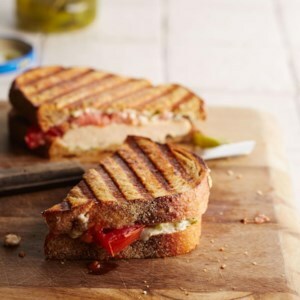 Grilled or broiled eggplant has a meaty texture and taste that, when piled on a sandwich with some tangy feta cheese, will satisfy even the most die-hard carnivores. 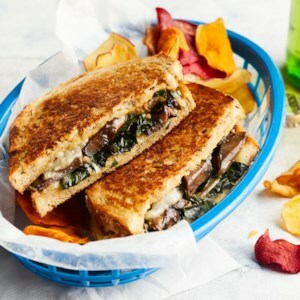 This vegetarian panini recipe--filled with layers of sautéed kale, garden-fresh tomatoes and melted cheese--makes for an extra-special grilled cheese sandwich. 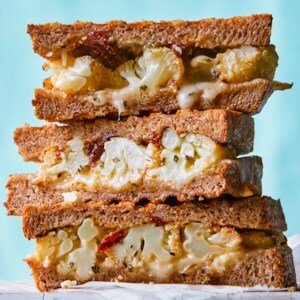 For the best flavor, we like the complexity of aged Gruyère or fontina, but you can use any cheese you have on hand. 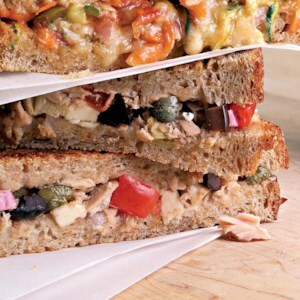 For a great sandwich filling, spike canned tuna with salty olives and capers, bright lemon juice and tangy feta.